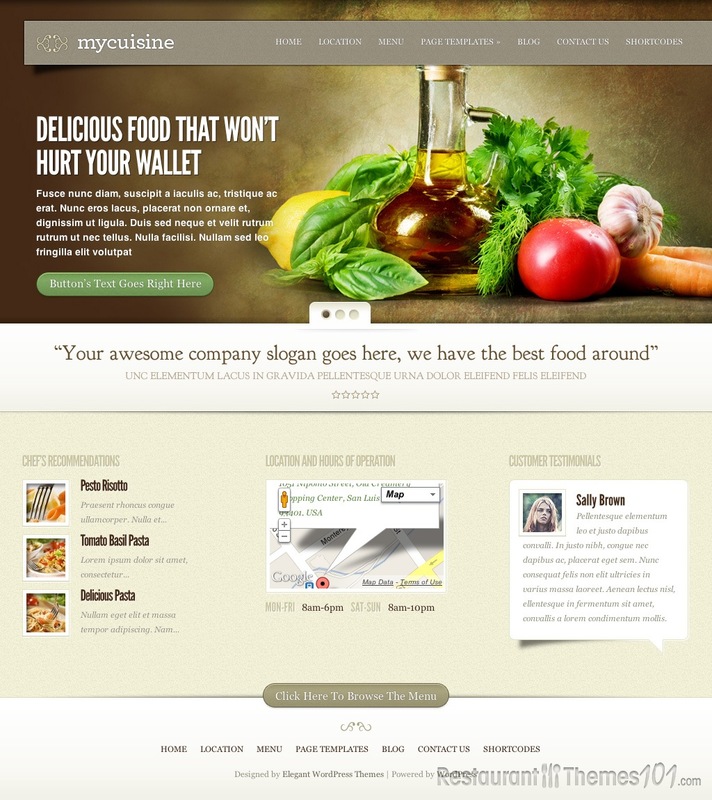 MyCuisine is a theme that truly stands out from the competition. Not only does it boast industry-leading features, it also has one of the sleekest and most elegant designs featured on a WordPress theme. 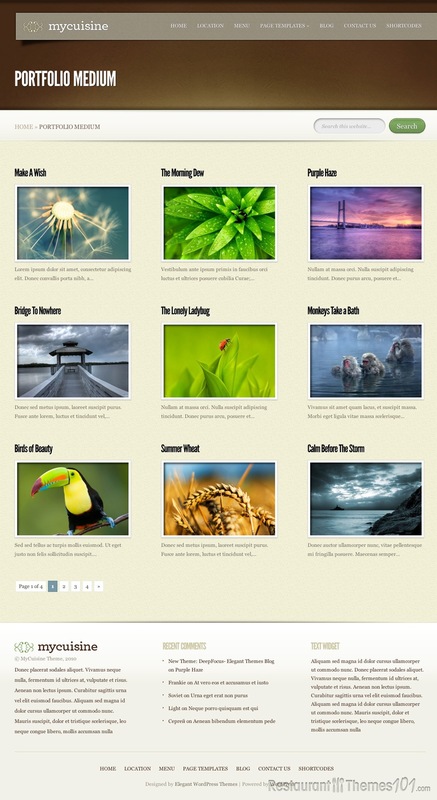 The first thing you will notice when you see the demo of this theme is the sleek sliding picture gallery. 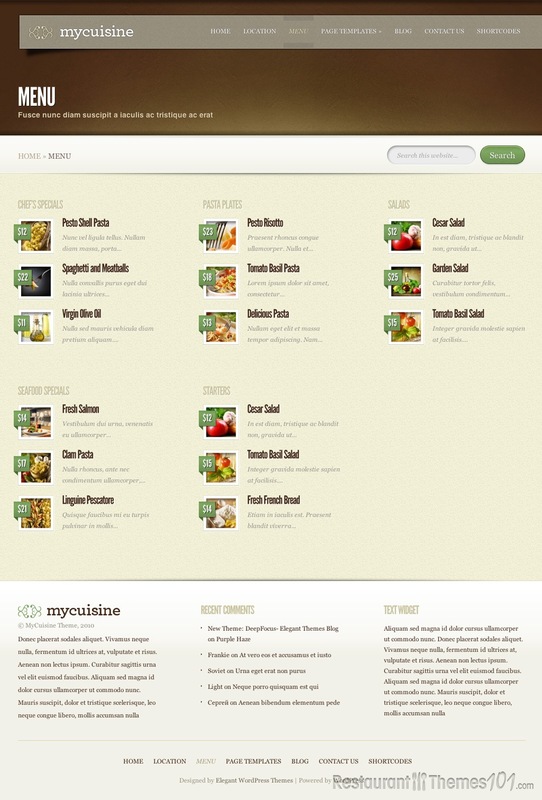 While most WordPress restaurant themes feature a sliding picture gallery, MyCuisine’s gallery is unique in a number of ways. First of all, it is integrated perfectly with the rest of the site, and you can actually choose to have your pictures take up the entire header of the website, instead of just a small section. 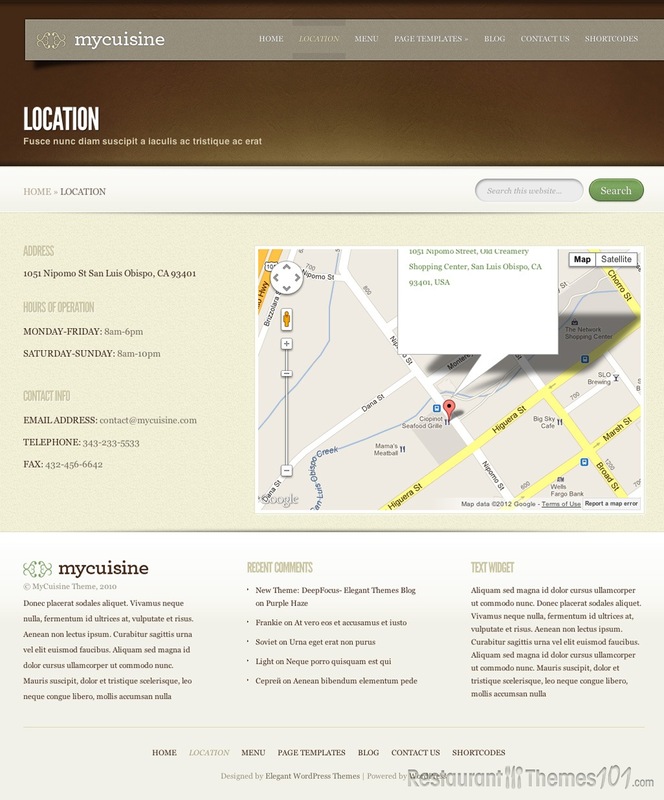 If your pictures are not big enough for that, you can use matching colors to blend the picture out into a solid color, giving the look of the website a natural, organic feel. Plus, the page and menu options are displayed over the top of the picture, which gives the website an extremely professional look. Directly under the amazing sliding gallery, you will see that this theme highlights your company slogan. Under that, you can display the Chef’s Recommendations (or daily specials), your location and hours of operation, and reviews/testimonials. The only real drawback to this theme is that readers will have to click through to the “contact” page to find your phone number, while many competing themes display the phone number front-and-center. 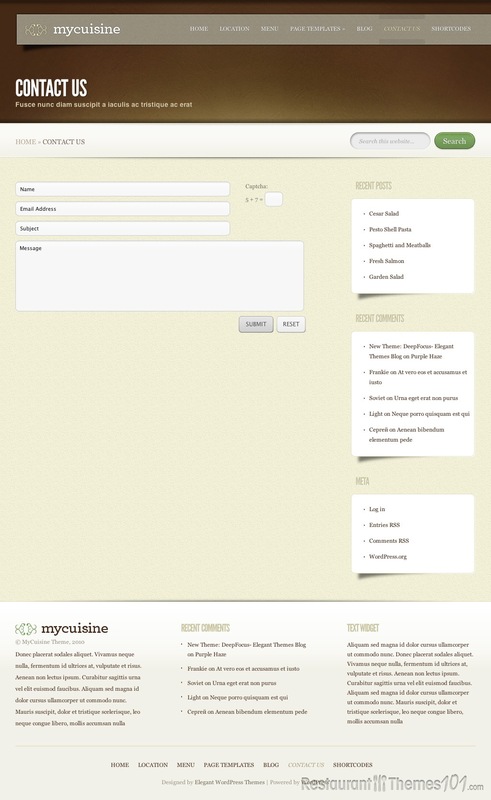 MyCuisine features cross-browser compatibility, perpetual updates (to keep the theme working with new versions of WordPress), complete localization, four unique colors, secure and valid code (meaning no error messages or glitches), menu options by category, many different theme options, shortcodes to speed up the updating process, and unparalleled customer support.